What is the cheapest way to get from Aberdeen to Strathisla distillery? The cheapest way to get from Aberdeen to Strathisla distillery is to drive which costs £8 - £12 and takes 1h. What is the fastest way to get from Aberdeen to Strathisla distillery? The quickest way to get from Aberdeen to Strathisla distillery is to taxi which costs £100 - £130 and takes 1h. Is there a direct bus between Aberdeen and Strathisla distillery? Yes, there is a direct bus departing from Aberdeen, Woolmanhill Hospital and arriving at Keith, Wellington Street. Services depart hourly, and operate every day. The journey takes approximately 1h 48m. Is there a direct train between Aberdeen and Strathisla distillery? 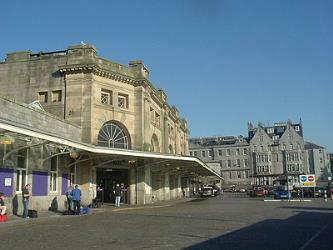 Yes, there is a direct train departing from Aberdeen and arriving at Keith. Services depart every three hours, and operate every day. The journey takes approximately 1h 4m. How far is it from Aberdeen to Strathisla distillery? The distance between Aberdeen and Strathisla distillery is 43 miles. The road distance is 49.6 miles. How do I travel from Aberdeen to Strathisla distillery without a car? The best way to get from Aberdeen to Strathisla distillery without a car is to train which takes 1h 11m and costs £12 - £16. How long does it take to get from Aberdeen to Strathisla distillery? 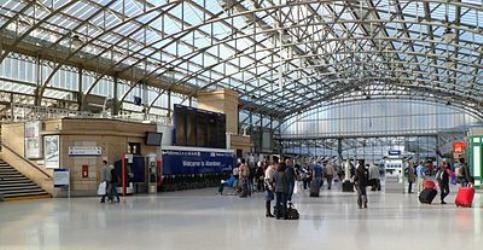 The train from Aberdeen to Keith takes 1h 4m including transfers and departs every three hours. Where do I catch the Aberdeen to Strathisla distillery bus from? Aberdeen to Strathisla distillery bus services, operated by Stagecoach North Scotland, depart from Aberdeen, Woolmanhill Hospital station. Where do I catch the Aberdeen to Strathisla distillery train from? 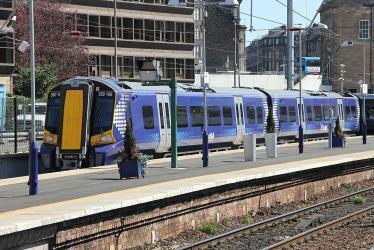 Aberdeen to Strathisla distillery train services, operated by ScotRail, depart from Aberdeen station. 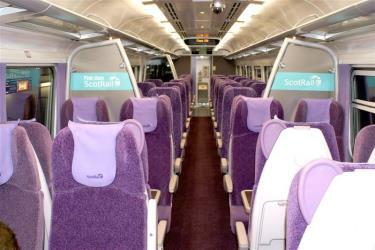 Train or bus from Aberdeen to Strathisla distillery? The best way to get from Aberdeen to Strathisla distillery is to train which takes 1h 11m and costs £12 - £16. Alternatively, you can bus, which costs £12 - £17 and takes 1h 57m. What companies run services between Aberdeen, Scotland and Strathisla distillery, Moray, Scotland? 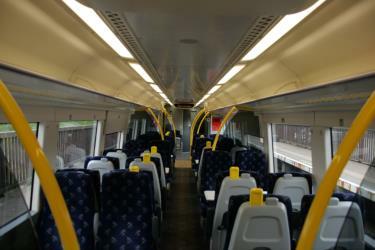 ScotRail operates a train from Aberdeen to Strathisla distillery every 3 hours. Tickets cost £12 - £16 and the journey takes 1h 4m. Alternatively, Stagecoach North Scotland operates a bus from Aberdeen to Strathisla distillery hourly. Tickets cost £12 - £17 and the journey takes 1h 48m. Where does the Aberdeen to Strathisla distillery bus arrive? Aberdeen to Strathisla distillery bus services, operated by Stagecoach North Scotland, arrive at Keith, Wellington Street station. Where does the Aberdeen to Strathisla distillery train arrive? 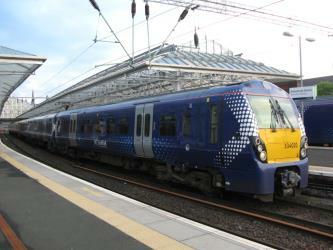 Aberdeen to Strathisla distillery train services, operated by ScotRail, arrive at Keith station. Can I drive from Aberdeen to Strathisla distillery? Yes, the driving distance between Aberdeen to Strathisla distillery is 50 miles. It takes approximately 1h to drive from Aberdeen to Strathisla distillery. Where can I stay near Strathisla distillery? There are 199+ hotels available in Strathisla distillery. Prices start at £55 per night. Discover how to get to attractions and hotels near Keith. Glenfiddich is a Speyside single malt Scotch whisky owned and produced by William Grant & Sons in Dufftown, Scotland. Glenfiddich means "Valley of the Deer" in Scottish Gaelic, hence the Glenfiddich logo being a Stag. Huntly Castle is a ruined castle in Huntly in Aberdeenshire, Scotland. It was the ancestral home of the chief of Clan Gordon, Earl of Huntly. Elgin Cathedral is a historic ruin in Elgin, Moray, north-east Scotland. The cathedral—dedicated to the Holy Trinity—was established in 1224 on land granted by King Alexander II outside the burgh of Elgin and close to the River Lossie. It replaced the cathedral at Spynie, 3 km to the north, that was served by a small chapter of eight clerics. The new and bigger cathedral was staffed with 18 canons in 1226 and then increased to 23 by 1242. After a damaging fire in 1270, a rebuilding programme greatly enlarged the building. It was unaffected by the Wars of Scottish Independence but again suffered extensive fire damage in 1390 following an attack by Robert III's brother Alexander Stewart, Earl of Buchan, also known as the Wolf of Badenoch. In 1402 the cathedral precinct again suffered an incendiary attack by the followers of the Lord of the Isles. The number of clerics required to staff the cathedral continued to grow, as did the number of craftsmen needed to maintain the buildings and surrounds. The number of canons had increased to 25 by the time of the Scottish Reformation in 1560, when the cathedral was abandoned and its services transferred to Elgin's parish church of St Giles. After the removal of the lead that waterproofed the roof in 1567, the cathedral steadily fell into decay. Its deterioration was arrested in the 19th century, by which time the building was in a substantially ruinous condition. Rome2rio makes travelling from Aberdeen to Strathisla distillery easy. Rome2rio is a door-to-door travel information and booking engine, helping you get to and from any location in the world. Find all the transport options for your trip from Aberdeen to Strathisla distillery right here. Rome2rio displays up to date schedules, route maps, journey times and estimated fares from relevant transport operators, ensuring you can make an informed decision about which option will suit you best. Rome2rio also offers online bookings for selected operators, making reservations easy and straightforward.